Alex Mauer performing at Blip ’07. Blip Festival 2008 is coming up in just a few weeks, on December 4-7th, in Brooklyn, New York. 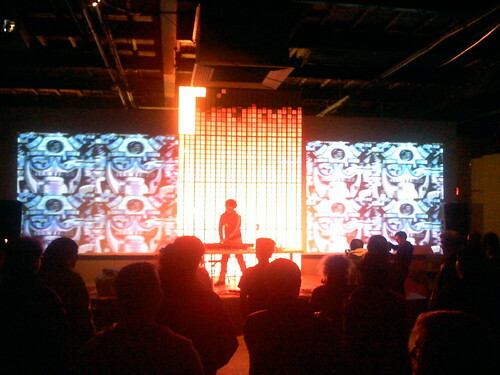 The Blip Festival is a yearly event in NYC promoted by The Tank, a performing arts space in lower Manhattan. Last year was truly epic and featured many prominent artists in the 8-bit/lo-fi music scene, including Alex Mauer, Bitshifter, and my new favorite 8-bit artist, Markus Schrodt. Here’s a direct link to Markus Schrodt’s latest release, i amar prestar aen. All of his music is available for download here. Buy your tickets now, make travel reservations, and I’ll see you in December at Blip!